A connected fax machine or multifunction printer (print / scan / copy / fax) that allows for faxing from the computer through the multifunction device attached to a land-line phone line. Software which turns your computer into a direct replacement of a hardcopy fax machine. Compared with fax software or a connected fax machine, an online fax service offers the ability to fax directly from the internet without a dedicated phone line in your home or office, as well as the ability to access or manage fax communications from anywhere you can access the internet. When selecting an online fax service for use through linux, it’s generally better to go with a system that is more “web friendly” – while some systems have advanced features, some of these are only accessible through a software program, and rarely are these programs compatible with Linux based systems. For full details on online fax services compatible with Linux and other operating systems, see our page on Online Faxing. While the list of linux-compatible multifunction printers is quickly growing, it still has a long way to go. Many models that are “compatible” may only be “compatible” for limited functionality – as fax connectivity is not a heavily desired feature, it is often one that is left out when it comes to Linux comparability. A fax or mutlifunction printer with “wireless” (such as wifi or bluetooth) does not allow you to send and receive faxes without a phone line – the “wireless” portion of the fax / printer is only for communication between the computer and the printer – not between the fax / printer and the phone system. A “wireless” fax / printer cannot connect wirelessly to the internet to be able to send and receive faxes. When setting the system up, double check to see what happens with received faxes when the computer is not active. Some models will store a received fax in the fax / printer’s memory until the computer is reconnected – the challenge with this approach is that if the power is lost, any stored faxes (that have already been acknowledged as received) may be lost as well. There are a number of options in the open source community when it comes to fax software on a linux computer. 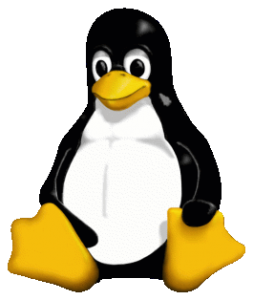 Linux is used to power everything from simple desktop faxing to enterprise level fax servers with many lines and users. The more popular fax programs for Linux based machines are generally HylaFAX and HylaFAX+ (a fork of the HylaFAX program). While Ubuntu and Linux Mint both have a number of selections available, other systems such as Chrome OS do not due to a smaller developer community. Paul Arnote – Just the Fax M’am … and it works in Linux!